If you’re like most Firefox users, you have dozens if not hundreds of stored logins in your browser. When you use Firefox Accounts you get to take your logins on the web in Firefox Mobile. 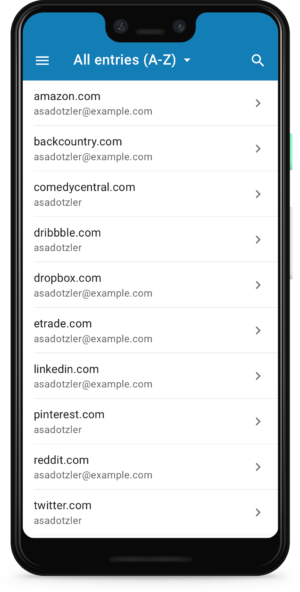 Today, many of those logins are the same ones used in the apps you download on mobile, so we’ve been working on making your various online identities work on your terms. 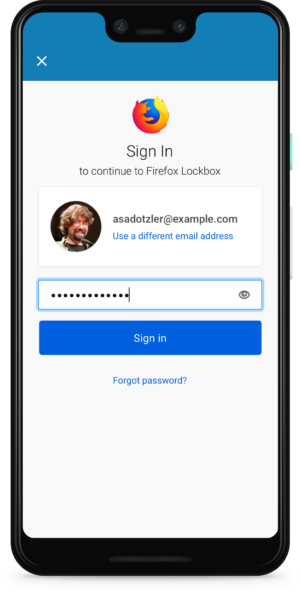 Today, we are excited to bring Firefox Lockbox to Android users, a secure app that keeps people’s passwords with them wherever they go. Like Firefox Send, a free encrypted file transfer service which keeps people’s personal information private unveiled earlier this month, Firefox Lockbox is based on another successful Test Pilot experiment. Since its iOS launch, Firefox Lockbox has had more than 50K downloads, and was most recently optimized for iPad. 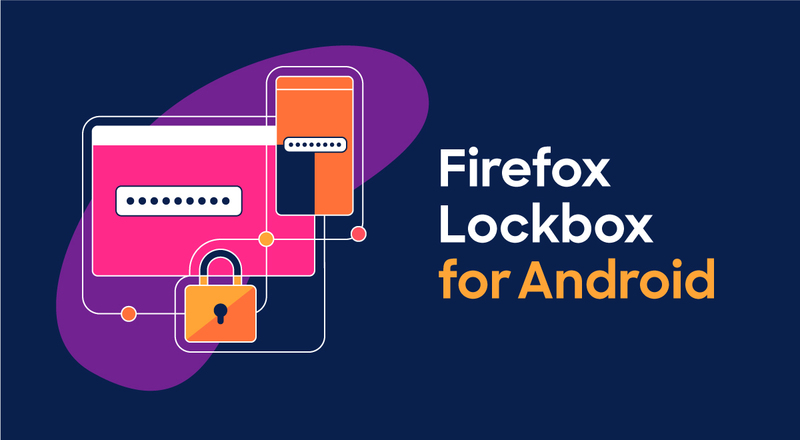 As we continue to evolve our ecosystem of privacy-first solutions, Firefox Lockbox for Android was the next step in our efforts to give people the advantage when it comes to keeping them safe online with trusted tools and services from Firefox. Unlike a traditional password manager, Firefox Lockbox is a simple app that gives easy access to the passwords you have already stored in your Firefox browser. No extra set-up necessary. This makes Firefox Lockbox the perfect solution for people who want to secure their personal information, but may not have time (or the recall) to choose and transfer all of their passwords into a password manager. Picture this: You volunteer your Netflix account for movie night at a friends but can’t remember your password. Rather than going through the reset process or accidentally locking yourself out with too many password attempts, Firefox Lockbox allows you to easily retrieve your password on your phone (now on both iOS and Android devices) so you can log in without a hitch. Plus, you can also use Face ID and Fingerprint touch to unlock the app, making it easy to securely access your passwords. Keeping track of your passwords across devices can be challenging, especially since many of us have tried to make them more complicated to protect ourselves against online data breaches. Say goodbye to the password “cheat sheet” stored as a note or “contact” in your phone or written on a sticky on your desk. Firefox Lockbox works with autofill to make the transition from using your Firefox desktop browser to mobile seamless, by automatically filling in your passwords saved on desktop to your everyday apps like Facebook or Yelp, on your mobile device. Keeping track of your passwords is one of the first steps to taking control of your online privacy and Firefox Lockbox for Android is here to help. We hope you try Firefox Lockbox for Android today. You can download it on Google Play.